Kielbasa is one of the baseline sausages that everyone learns when you are developing your skills as a sausage maker. It’s is such an icon, done in so many ways, that I am sure someone will criticize my recipe. Let them. I like my kielbasa recipe, and it is reasonably close to the Official Recipe. 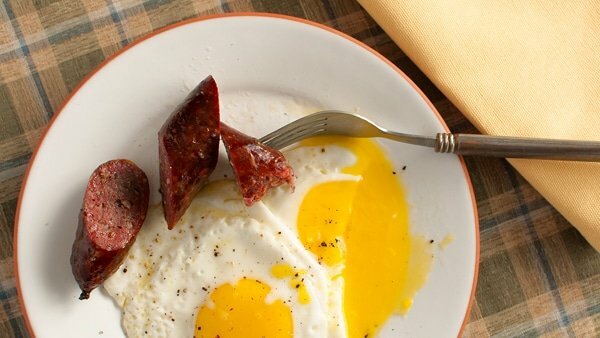 You heard right: There is actually an “official,” kielbasa recipe endorsed by the Polish government. Kinda hilarious, if you think about it. Not sure that’s an area where the government needs to get itself involved, but that’s just me. 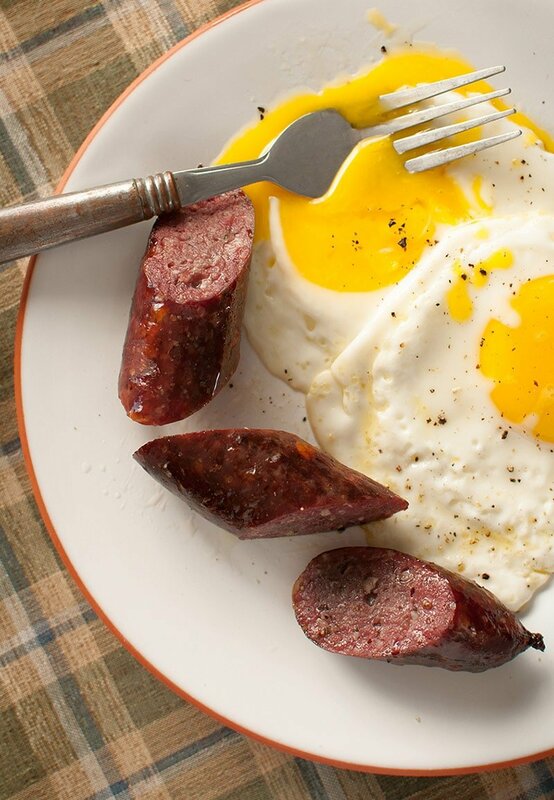 You should know that “kielbasa” simply means “sausage” in Polish. So if you were to find yourself in a real-deal Polish butcher shop and ask for some kielbasa, they’ll ask what kind. What we generally call kielbasa here in the United States is Polska kielbasa wedzona in Poland. Incidentally, I am prone to pronouncing it “keel-BAH-see” because I am from New Jersey — you’ll hear this pronunciation all over the Mid-Atlantic region. Everyone has his own kielbasa recipe. Let me restate that one more time. But there are a few things that distinguish real(ish) Polska kielbasa from the overly weird variants. I owe much of this information to the Marianski brothers, whose book Home Production of Quality Meats and Sausages is indispensable for any serious home sausage maker. First, kielbasa in America is almost always smoked, unless you are in a real-deal Polish deli, in which case there are all sorts of variants on the smoked kind. Fresh, unsmoked kielbasa is usually only found in a Polish meat market. For the typical American version, it always includes Cure No. 1 (sodium nitrite), which gives it the pretty pink color — any “uncured” kielbasa you see that’s pink is a lie: They are using celery juice, which has as much sodium nitrite as the powder. Garlic is the main player. Marjoram is often there, but not always. No paprika! Adding paprika to a kielbasa turns it into a Hungarian sausage, which is awesome, but not kielbasa. You get the red color from the nitrite and the slow smoke. If this seems overly controlling, it’s only meant to get you in the right ballpark. 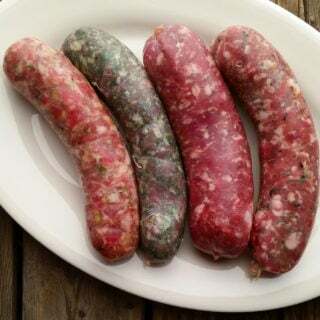 Similarly, a sweet Italian sausage would be weird without fennel seeds — or with chile flakes — and a bratwurst just wouldn’t be right without the nutmeg. Making this sausage isn’t difficult if you have made smoked sausages before. If you haven’t, I highly recommend you review my tutorial on basic sausage-making I wrote over on Simply Recipes. There is one wrinkle to my version of kielbasa, though. I sorta-kinda age it by letting the smoked links hang in my curing chamber (55°F at 70 percent humidity) for 2 to 4 days before I eat them. This dries them out just a little, and I think it improves the flavor a lot. How to eat? Well, in any old way. On a hot dog bun, braised with sauerkraut and onions, put in stews, or the way I prefer, as a breakfast sausage. It was my late stepfather, Frank Kilpatrick, who turned me on to this. Frank loved to eat “keel-BAH-si” and always had it in the house. 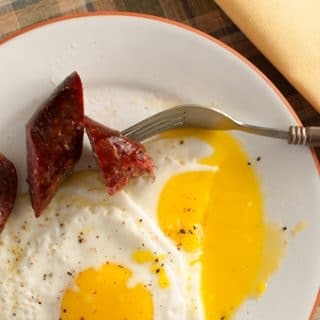 We would eat it instead of bacon with eggs and toast in the morning; hell, Frank would often just lop off a couple inches right from the fridge and eat it as a snack — it is fully cooked, after all. Frank is long gone. He died in 2001. But every time I eat a link of kielbasa for breakfast, I think of him. You are free to use whatever meat you want here: Pork, beef, venison, wild boar, bear -- even duck or turkey. Traditional would be 80 percent pork and 20 percent beef. Go easy on all the spices except the garlic. You should be able to taste garlic in these links. My recipe does that, so make it as-is the first time, then adjust to your liking. A lot of Poles I know prefer to smoked their meats over cherry wood, so use that if you have it. Other choices would be oak, maple, beech, or walnut. You'll need the curing salt No. 1, which you can buy online. Chill the meat and fat until they is almost frozen by putting it in the freezer for an hour or so. Take out some hog casings — you’ll need about 3 to 4 standard lengths, about 10 feet — and set in a bowl of very warm water to rehydrate. Chop meat and fat into 1-inch pieces. Combine the salt, instacure, sugar, garlic, marjoram and pepper and mix it into the meat and fat with your hands. Let this rest in the fridge for about an hour. Grind through your meat grinder (you can use a food processor in a pinch, but you will not get a fine texture) using the fine die. If your room is warmer than 65°F, set the bowl for the ground meat into another bowl of ice to keep it cold. Put the meat mixture back in the freezer while you clean up. Add the ice water to the meat mix, then mix thoroughly either using a Kitchenaid on low for 90 seconds or with your (very clean) hands. This is important to get the sausage to bind properly. Once it is mixed well, put it back in the fridge while you clean up again. Stuff the sausage into the casings. Kielbasa is normally made into long links tied at both ends to form a loop. Stuff about 2 feet of sausage, then pinch off the trailing end and pull off at least 6 inches of casing from the stuffing tube. Cut the casing with a knife and immediately pull out another 6 inches or so of casing to form the loose end for the next long loop of sausage. This ensures that you will have enough casing to tie off the links. Leave the links untied for now. Check each long link of kielbasa for air pockets. You will probably have some. Use a sterilized needle (get the point glowing in the stove burner for a second or so to do this) and pierce the casing all around any air pockets. Gently compress the meat in the link from either end. Don't force it or the casing will burst. When you see no more air pockets, tie off the casings at either end. Hang the sausages in a cool place. If it is warm out, hang for one hour. If you have a place where the temperature will not go higher than 38°F, you can hang them as long as overnight. Get your smoker going. Smoke the links for at least 4 hours, and as many as 8. I prefer a lighter smoke, so you can still taste the meat and spices. You are looking to get the internal temperature of the links to 155°F. When the kielbasa is smoked, shock the links in ice water to cool quickly. Hang them to dry for at least 1 hour before eating, and if you have a cool place (55°F or cooler) you can hang for up to 4 days. Once made, these links will last two weeks tightly wrapped in the fridge. You can seal them and freeze for a year. 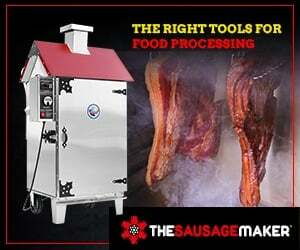 Find dozens more recipes for fresh and smoked sausages from all over the world, here on Hunter Angler Gardener Cook! I have an instant read thermometer, is there risk of losing lots of juice when I puncture the casing? Is there a better way? Kohl: Not really. Just test one link. If you need to test more than once, you will have only punctured that one. Ray: Absolutely. Leave out the curing salt.